Cardi B! Janelle Monàe! And more! Get ready for some of your favorite performers at the Grammys, as the latest roster has just been announced. The 2019 Grammys promise to give us some of our favorites in sweet awards presenting musical talent. The star of the hour in both rap and celebrities speaking out on political issues, Cardi B! Cardi B is additionally nominated for “Album of the Year”, “Rap Album of the Year” and “Record of the Year”, along with a slew of other words. Fantastic. Additional presenters include Camila Cabello, Dan + Shay, Post Malone, Shawn Mendes, Janelle Monáe and more. We’re psyched to see all of them, as each of these artists have had incredible years. 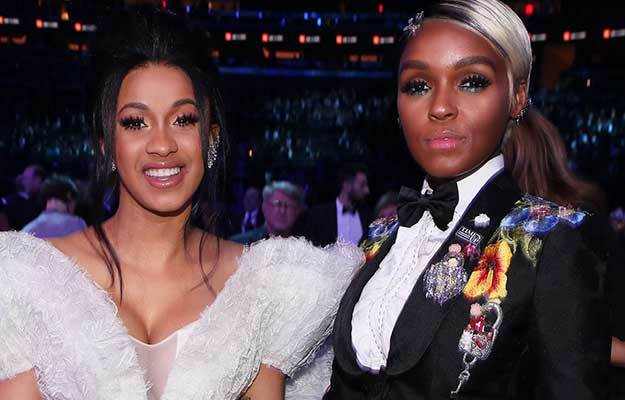 Janelle Monàe’s bisexual anthems that make up her final cyberpunk journey “Dirty Computer”, and Post Malone thrilled us all with his work on Spider-Man: Into The Spiderverse, so you know, something for everyone. But what do you think fo the latest additions to the Grammy roster? Let us know in the comments or on Twitter at @WhatsTrending.